Snacktastic! The Marshin’ King is coming for your dogs! Not your pooches though. Your hot dogs. Your wieners! Born from the amazing mind of world-renowned sculptor Jason Freeny, this 8inch figure doesn’t breath air, so be sure to leave him in his bubble! Get yours now to impress your friends at your next BBQ! 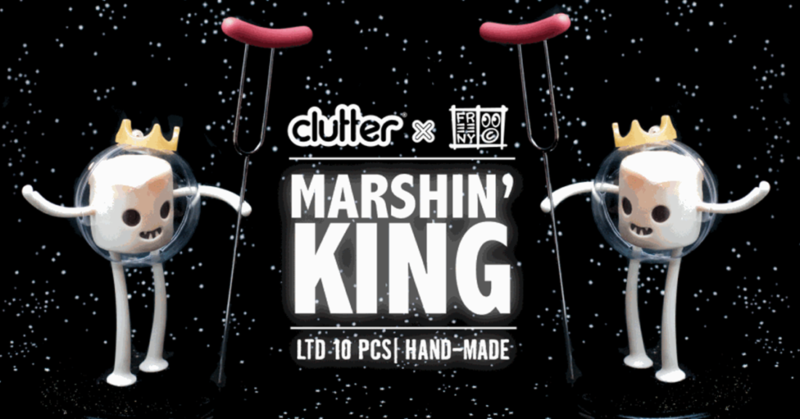 The Marshin’ King will be available to pre-order from 2pm EST (6pm GMT) on Friday 29th March. Pre-orders are expected to ship by the end of April. Priced at $250 (about £190). The Marshin’ King is based on Freeny’s original sculpt, this intergalactic being stands at 8inches tall, and arrives displayed on 6inch wide hand-painted base. Produced in resin, these beauties are limited to an exclusive run of 10 pieces! You will be able to purchase from Clutter HERE.